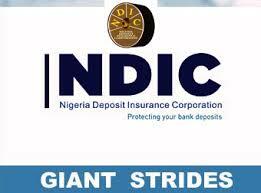 The Nigeria Deposit Insurance Corporation has called for speedy adjudication of deposit insurance disputes, noting that an effective judicial system is vital for the stability of the financial sector. The Managing Director, NDIC, Alhaji Umaru Ibrahim, stated this at the opening session of a seminar for external solicitors of the corporation. The seminar with the theme, ‘Challenges to deposit insurance law and practice in Nigeria’ is part of efforts by the corporation to sensitise stakeholders to the practice of deposit insurance. Umaru stated that the corporation would continue to collaborate with the judiciary to ensure effective discharge of its mandate and contribute to financial system stability in the country. He observed with concern that a large segment of the Nigerian public had a wrong perception about the corporation and its statutory mandate. This, he stated, had made the corporation to invest resources to reverse the trend through effective and continuous public awareness and close collaboration with key stakeholders. He said, “One of the major challenges confronting the corporation in the discharge of its mandate is public awareness. “We have observed with concern that most of the Nigerian public have a misconceived perception of the corporation and its functions. “The corporation has invested valuable resources in ensuring that this negative trend is reversed in line with its strategy of enhancing public awareness. He said while the litigation process had been slow, the corporation was currently taking advantage of the alternative dispute resolution mechanism to get justice.